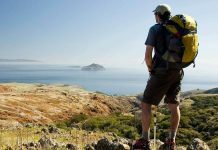 The importance of always using the right gear when going hiking cannot be understated, not only as far as your personal comfort goes but also in terms of how protected you are at all times. While you may have a good idea about what shoes, socks, or backpack to bring along, you should surely ponder about the quality of your pants and shirts just the same. Good hiking gear should always be seen as necessary whenever you plan on spending time in nature, no matter how long your plan on trekking or how experienced you might be. To give you a little insight on the matter, we put together a list of the ten best hiking pants money can buy. Made using spandex and nylon at 8% and 92% respectively, these pants boast Teflon finish that prevents seeping in of water. The ExOfficio Pants are among the lightest, most durable and comfortable pants available. In addition, they are furnished using UPF 50+ to protect your skin besides being abrasion resistant. With their 5 pockets, an exclusive elastic waistband it is among the finest available options. Even though its pockets taper forward, it is still quite breathable not to mention being stretchable – a factor that inspires movement. The Beta LT pants by Arc’teryx are made using nylon (84%) and elastane (16%) along with an exclusive DWR finish. Despite not being waterproof, they are among the finest when it comes to water resistance. With these pants, you can enjoy great mobility for their comfortable and roomy capacity. Additionally, it is made using a thin and lightweight fabric, coming with three exclusive pockets as well. Finally, it is packed with several features among them polished polyester waistband, webbing belt (adjustable), cord adjuster (static), and a laminated hem. For anyone searching for affordably-priced hiking pants, then Craghoppers Kiwi Classic pants should be your ideal choice. These pants are made using polyester 65% and cotton 35% making them wearable for virtually any season but winter. These pants effectively wick moisture, are comfortable to adorn and are well breathable. What’s more, it is among the few pants that can be washed and dried by machines. The Classic pants come with a collective 9 pockets with 5 that are zippered. What’s more, it also boasts a characteristic elastic waistband. Suitable for both cold and hot weather, FunnySun Men’s Hiking Pants are among the thickest and warmest options available courtesy of their Invista Tactel Fabric material. 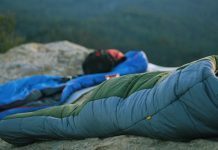 What sets it apart aside from its tremendous durability, is the travel-friendly characteristic as inspired by its capacity to pack into a small size. The Montane pants also boast 4-zippered pockets not to mention an inside pocket. Finally, they comprise articulated knees that ease movement and snap fasteners that offer it an ideal fit especially around your ankles. Made using nylon and spandex (97%/3%), these are among the finest available hiking pants for men. They are ideal for every weather condition as provided by their characteristic Durable Water Repellent (DWR) construct. The Zion stretch convertible pants are user-friendly, lightweight and thin which renders them easily portable. Surprisingly, they are also quick to dry. What’s more, these particular pants are durable and abrasion resistant which inspires their comfortable fit. One another amazing feature of these pants is their flexibility that allows them to be transformed into shorts to suit the weather conditions. This means that they also save you space in your carriage pack. Finally, besides their 6 total pockets, these pants allow great efficiency in movement. Made of nylon 70D faille weave, Northface Peak II are premium quality pants that are ideal for hiking in cold weather. In addition, they are among the most durable and toughest hiking pants allowing them to find use in strenuous and long travels. They are made of heavy and thick fabric-DWR coating which although makes them durable and tough is unfortunately heavy and not breathable. Nonetheless, to improve on its breathability, you have the option of converting them into shorts. Finally, they also come at a significantly cheap price so affordability should not be any concern. 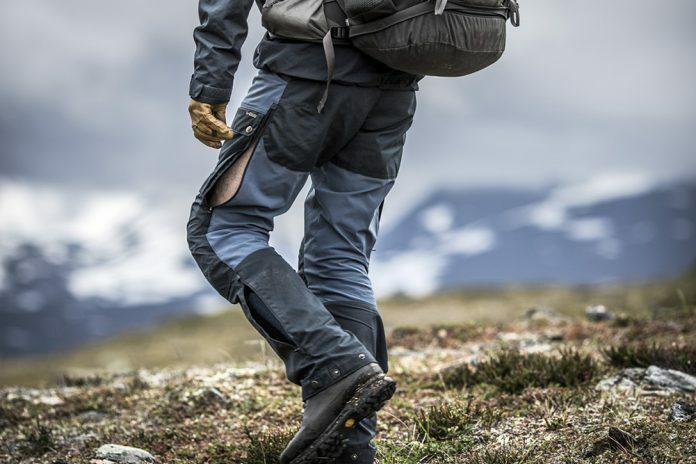 Next on our list are Fjallraven’s Vidda Pro pants which comprise polyester 60% and cotton 40% is an extremely durable and tough pair of hiking pants that are both comfortable but with a slim and nice fit. What’s more, they are also quick to dry, with the only downside being their inability to be water resistant and expensive price tag. Other than that, these are some high-quality hiking pants as far as their construction goes. Suitable to suit wearing for whatever season, Ferrosi Outdoor pants are made using nylon and spandex. These pants come with 5 pockets which although quite small are spacious and perfectly secure. They are also both water and wind resistant and also offer effective abrasion resistance. Unlike typical pants, these ones are breathable and lightweight which boosts their comfort. Moreover, they’re also quite stylish and with great fittings which give them the free movement every hiker needs. Precisely designed to suit winter season, Research Cirque Outdoor pants are made using nylon, polyester and spandex material (50%; 43%; 7%). The pants are exceptionally durable, tough and breathable and can, of course, withstand adverse weather conditions. These pants are additionally water resistant and although they are waterproof, they are made using premium grade material. What’s more, aside from its amazing stretch, they come with four spacious pockets at the back and two smaller ones in front. Easily convertible into a pair of shorts by way zipping off their lower legs, the Columbia Convertible Pants (Silver Ridge) are a 100% nylon-made pants suitable for both warm and cold weather. These pants, besides being extremely breathable and amazingly super quick to dry, are also quite lightweight which makes them conveniently portable and wearable. What’s more, with a combined 6 pockets in total and characterized by an elastic waistband (partial), these quality shorts can be worn for a long time without irritation or chaffing. You will also be interested in knowing that it comes with a quality Omni-Shade accent UPF 50 technology that safeguards your skin against UV radiation. The main reason for wanting to buy a pair of hiking pants is for added protection when hiking or trekking on rough terrain. When you’re out in nature, you should always wear clothes that protect you from scratches and quickly changing weather conditions, which is where hiking pants come into play. These pants are tougher and more durable than regular pants, not to mention how much more durable they are in general. Given the fact that you are expected to be very mobile when you’re out hiking, you want to invest in a pair of pants that allows yu to move freely and unrestricted, no matter how harsh the terrain might be. 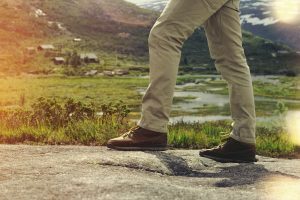 While normal pants tend to cause chaffing and irritation, hiking pants are designed to add an extra bit of flexibility without losing the comfort levels most people expect from a regular pair of pants. It is very important for a pair of hiking pants to be weather resistant to some extent. As a matter of fact, some hiking pants, although not all, can be water and weather resistant to an impressive standard. It is usually the more expensive models that boast these characteristics, mostly because of the materials used in their making. Despite their toughness, these pants must also be comfortable, lightweight, and easy on the skin. Also important to consider along with their construction is how accommodating they are. We say this because hiking pants must have a lot of pockets for you to use, the larger the better. When you hike, you always need to carry some sort of equipment, thus the need to have deep, spacious pockets easily available. 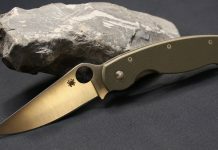 Along with your phone or compass, chances are that you’re always carrying a pocket knife and whatever else might be of use to you out in the wild. The material – Generally speaking, hiking pants are either made from nylon, polyester, or both. The reason for nylon is the durable abrasion-resistant properties it possesses, which in turn offers a great deal of protection for your legs. As for the polyester, its main purpose is to help the pants dry quickly and to help wick moisture away. It is also common for some manufacturers to also add spandex to the fabric to make the pants more stretchable. The pockets – Like we said, hiking pants should have many pockets for you to use and they all have to be spacious enough to accommodate a variety of items. The bare minimum number of pockets a pair of hiking pants should have is three. Depending on their construction, these pants can have up to eight or more pockets. Needless to say, if it ever comes down to choosing between a pair with three and one with five or more pockets, your best course of action is to get the pair with more pockets. The weight – It is also very important for hiking pants to be as lightweight as possible without compromising any of their base characteristics. The lighter they are, the easier they are to carry around and to put on in a rush. That said, hiking pants intended for cold weather are indeed thicker and slightly less comfortable than your average warm weather hiking pants, but this is to be expected given the added note of durability they have. The features – Last but not least, one should always look for hiking pants that pack a host of additional features as well. For instance, some of these pants can be converted to shorts via a system of zippers and cords, whereas others boast side zippers for a better air flow. Not only that but quality hiking pants usually come equipped with articulated knees for added flexibility when trekking through the bushes.